Flood diversion work is already under way but will sufficient funds be allocated for 20-year project? Low-lying areas such as Truss’s Island could be in the firing line if the Thames bursts its banks. TWO weeks ago, I expressed my concerns about the risk of flooding on our stretch of the Thames and asked what had happened to the plans for flood diversion channels that had been set out by the Environment Agency. And now, the agency’s West Area Flood Risk Manager Ian Tomes has contacted me with an update. He said: “In 2009, we announced that we were investigating options to reduce flood risk from the River Thames in the Lower Thames area. 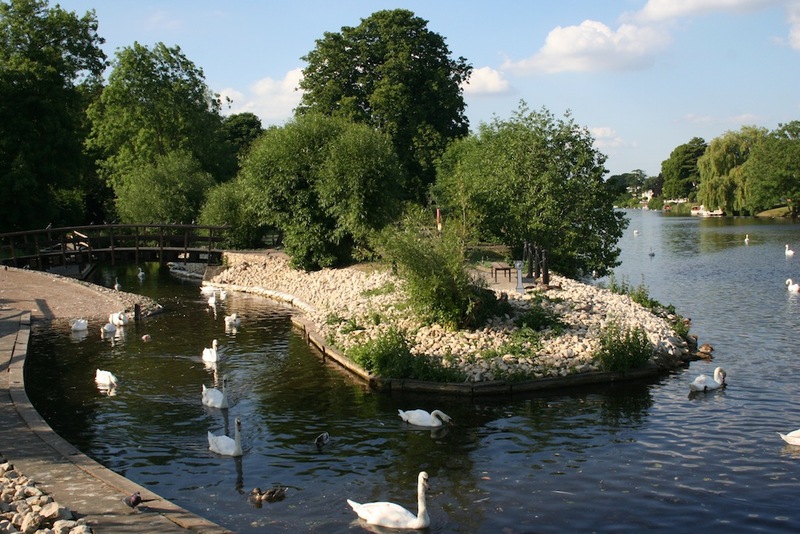 In 2010, the Lower Thames Strategy was approved and at the end of last year we updated residents in the area covered by the strategy via newsletters and three local drop-in sessions. “We have been making good progress since then, despite changes in the way flood defence funding is allocated, which were announced by Defra in May 2011. “This new approach to funding projects to reduce flood and coastal erosion risks requires the costs to be shared between national and local funding sources. It means more schemes are likely to go ahead than under the previous ‘all or nothing’ approach, and it gives local areas a bigger say in what is done to protect them. “As a result, there is a shortfall of approximately £121 million towards a scheme cost of £256 million to deliver all of the Lower Thames Strategy” added Mr Tomes. To address that funding gap, the EA has agreed to form a steering group with the local authorities including Runnymede, Spelthorne, Elmbridge, Surrey and Windsor and Maidenhead. This group will be instrumental in securing the financial contributions required to deliver the Lower Thames Strategy. It is hoped the first meeting of this Steering Group can take place early in 2013. Developing proposals for the engineering channel up to outline planning. Phase 2 that will follow will include the detailed engineering design, securing detailed planning permission and the construction of the three diversion channels. Ian Tomes goes on: “This year we have been progressing phase one by identifying some 1,600 properties that could benefit from individual property protection measures paid for through the Lower Thames Strategy. “These measures include demountable door barriers, non-return valves, sump pumps and airbrick covers. 57 properties in Shepperton received individual property protection measures in June this year, and in October 2012 the measures were installed to a further 23 properties in Staines. We have held a test exercise in both Shepperton and Staines to test the deployment of these new flood protection measures. The EA says the whole project is expected to last approximately 15–20 years. But tellingly, they add the rider that this period is dependent on funding availability. I do have a good deal of sympathy with the Environment Agency because with the significant funding cuts imposed by the Government, it is being asked to carry out a huge programme of works with no guarantee that money will be made available. An invidious position you’d have to admit. What should residents do in the meantime? Anyone who lives in a flood risk area should check their risk by visiting the EA website or calling Floodline on 0845 988 1188. Residents can stay up to date with progress on the Lower Thames Strategy. I’ll keep you informed as things develop further.